One of the best ways to recycle is to do so by reusing old junk, turning it into your own personal treasure. Old doors are one of those things that you can recycle. 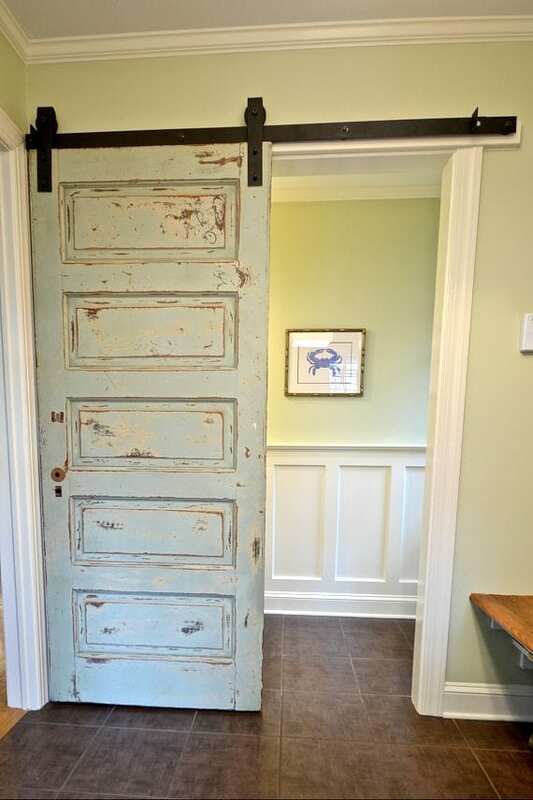 Here are 10 ways to reuse old doors in your home. Reuse old door ideas include creating a chalkboard desk out of one. Paint the door’s panels with chalkboard paint. If you add a few hooks and drawers, you can make the door into a usable piece of furniture. Tools for this project are available from Hardwareworld. To make a chalkboard calendar out of an old door, paint it with chalkboard paint and mount it to a wall sideways. You can use the panels to separate and organize your week. 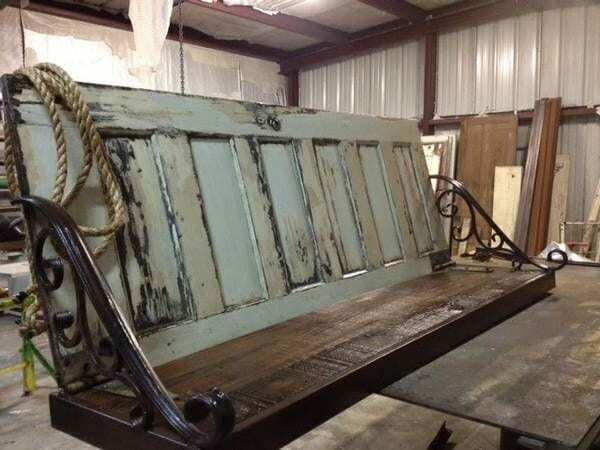 You can reuse an old door by turning it into a porch swing. If you decide to make this project, plan to use the door as the back of the swing while a thick slat of wood is perfect for the seat. Once completed, you’ll have a unique piece of porch décor, one that offers you rest and relaxation. Making a book shelf is a great way to use an old door. 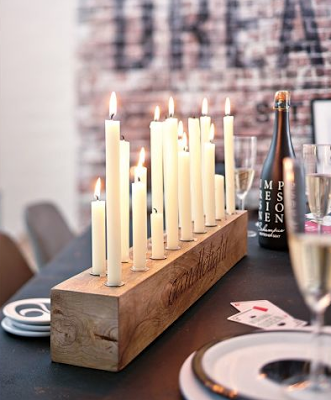 Constructing this piece of furniture is not only a great way to recycle, but it also adds originality to any space. 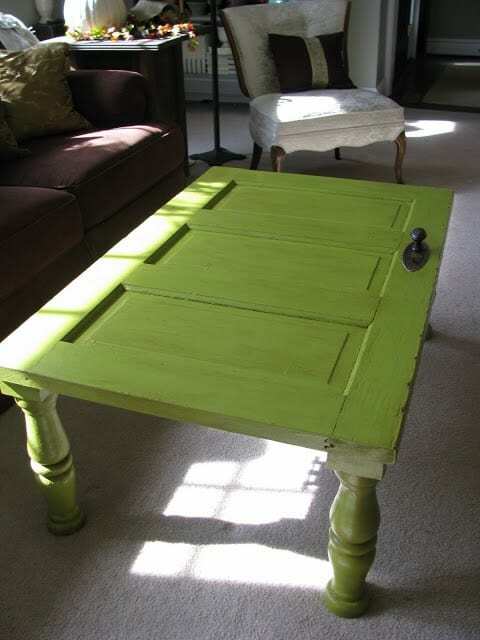 If you don’t mind a little construction work, consider turning an old door into a coffee table. This is an easy project since all you need to do is add legs and paint it your favorite color. Sliding doors have become a major design trend. Make yours original by using an antique door. You can use one to add style to a pantry or a bar. Old sliding doors are a good option for offices and formal living rooms. Reuse old door ideas include turning one into an entryway bench. This affordable piece of furniture will give you a place to take your shoes on and off. You can also add a drawer if you need extra storage in this part of your home. Old doors make nice and inexpensive space dividers, and if you get the right old doors, they’ll also add a touch of rustic charm to your home. For this project, look for doors that feature glass panes. You’ll then need to remove the glass to turn them into decorative room dividers. Paint them a fun color or sand them for a rustic look. If you have three or four old doors, consider connecting them to construct a privacy screen. If you like things a bit eclectic, use different styles of doors. You can also paint them different colors to make the screen more interesting and stylish. To reuse a door in an artistic way, turn one into a large picture frame. Paint the wood sections of the door, and then, tape pictures to the backside of the glass panes. This creates an organized gallery-type piece that you can hang on your wall. You can get custom prints at Custom Photo Prints. We found ways to repurpose old doors at How to Build it and Country Living.